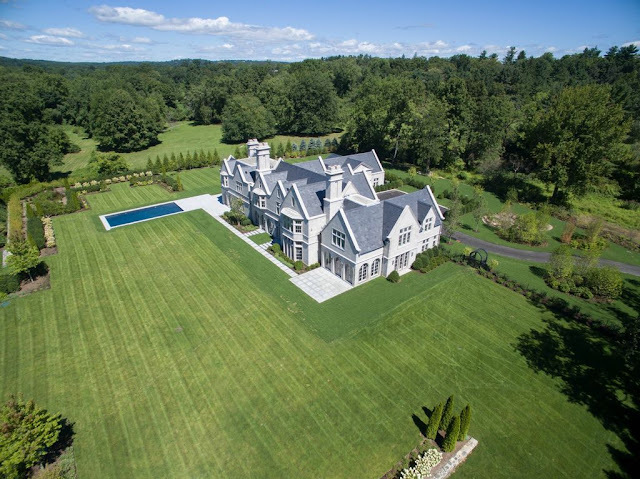 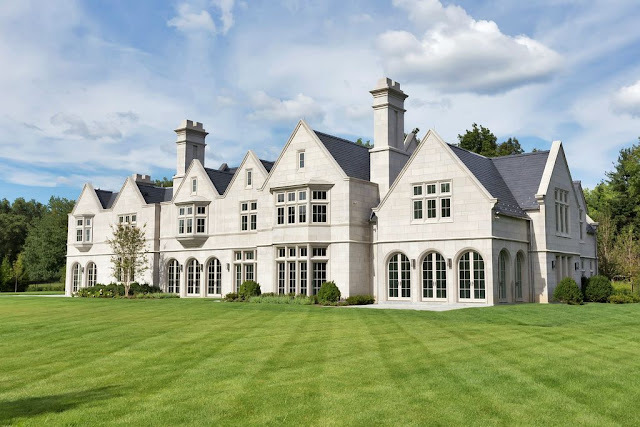 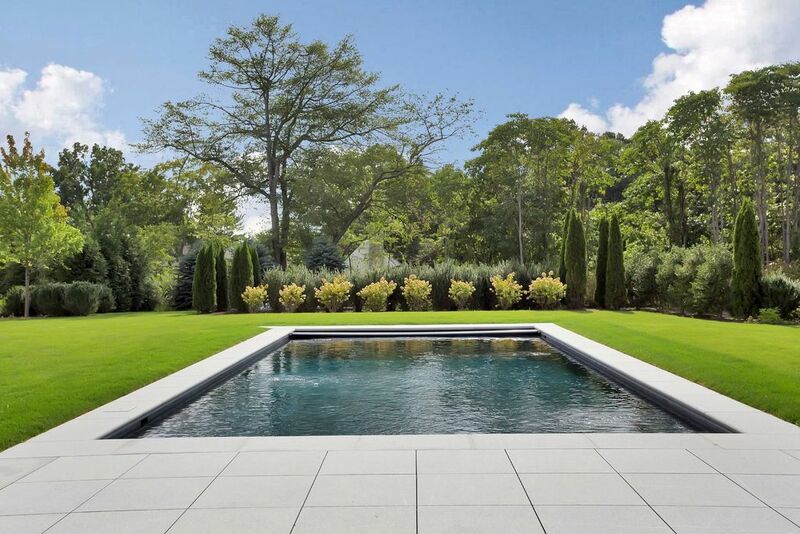 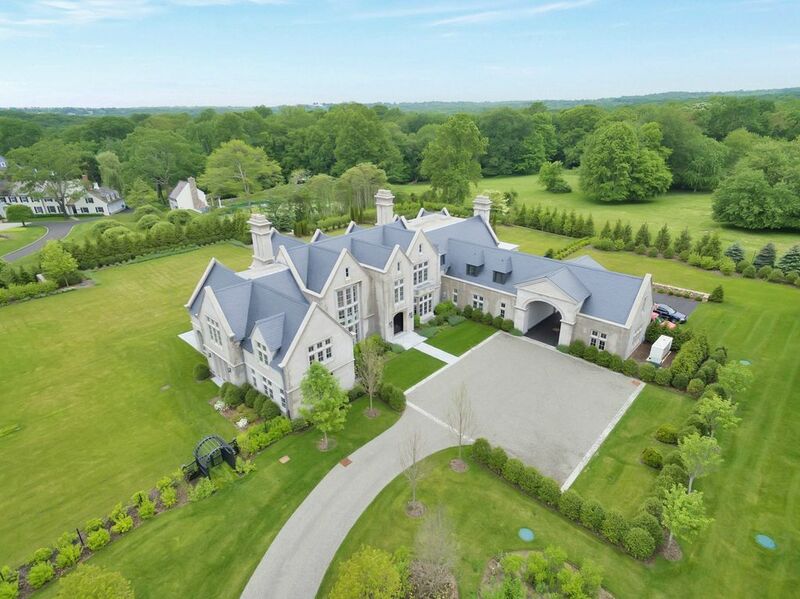 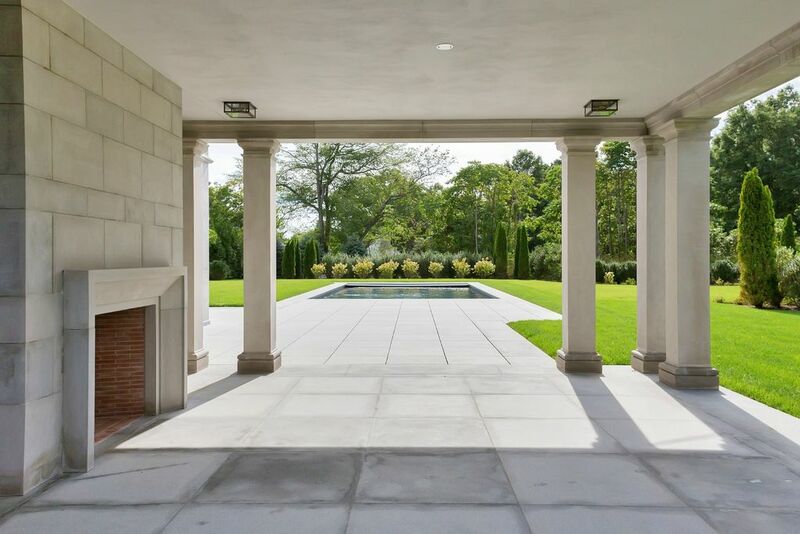 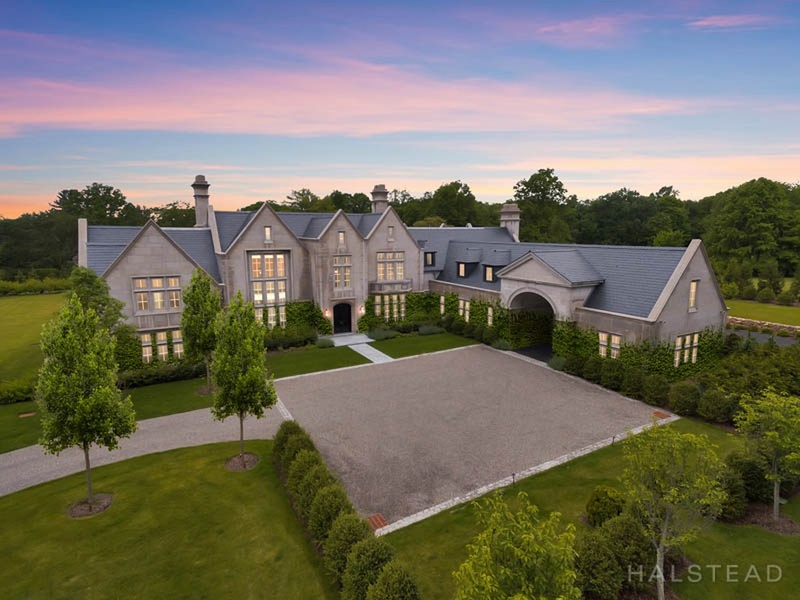 This English manor in Greenwich, CT was designed by Mark Finlay Architects and built in 2016 by Davenport Contracting and is situated on three acres of land. 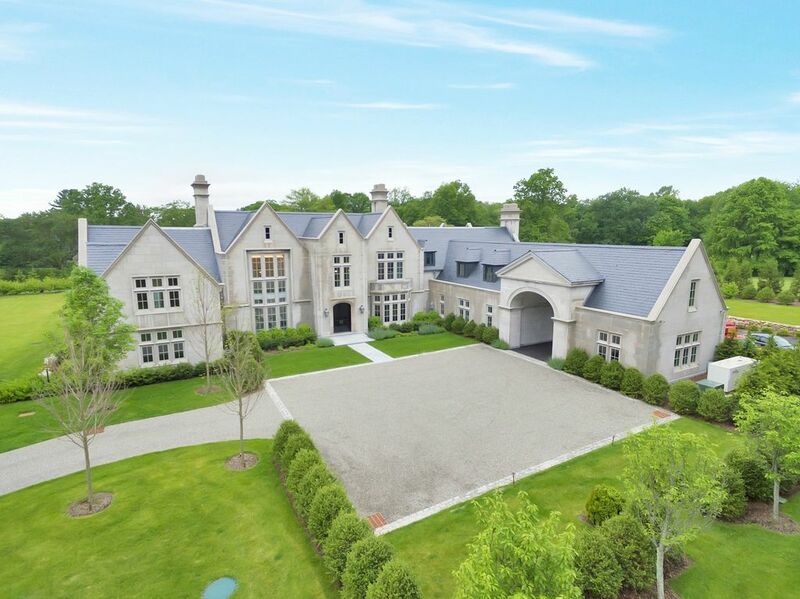 The limestone mansion features approximately 15,055 square feet of living space with five bedrooms, six full and two half bathrooms, two-story entry hall with floating spiral staircase, formal living room with fireplace, formal dining room, gourmet kitchen with white marble countertops, breakfast room, family room with vaulted ceiling and fireplace, home office, expansive lower level, and a three-car garage. Outdoor features include a stone archway porte-cochere, two motor courts, covered patio with fireplace, additional patios, and a temperature-controlled swimming pool.